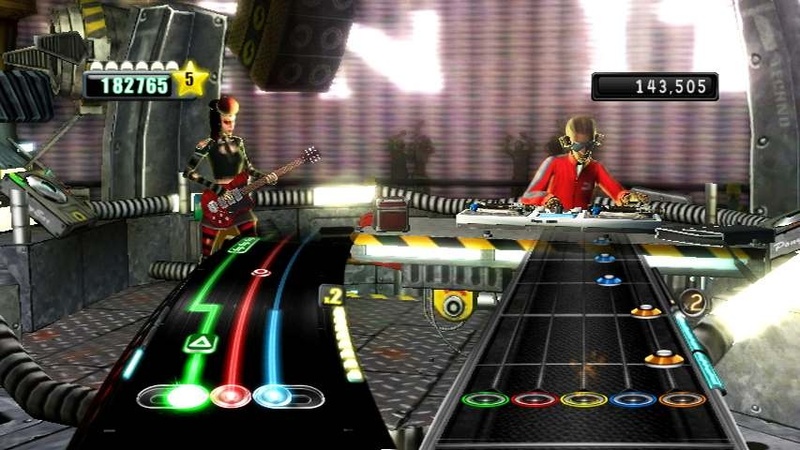 Synopsis: Here comes your most recent review in the form of DJ Hero for the Nintendo Wii. Activision recently sent us the new music game and peripheral for review purposes and low and behold a review is what I have. 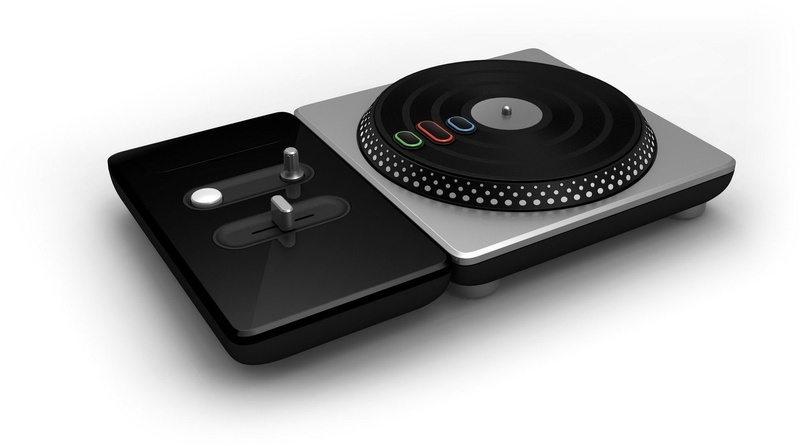 DJ Hero is a new way to play and hear music through your console. With a track list that boasts 94 different mixes, preset and custom set lists, along with online and offline multiplayer, there is a new reason to rock out with plastic instruments. The new peripheral allows the player to use authentic DJ techniques such as scratching, mixing, sampling, rewinding, and entering their own preset effects to the mix. 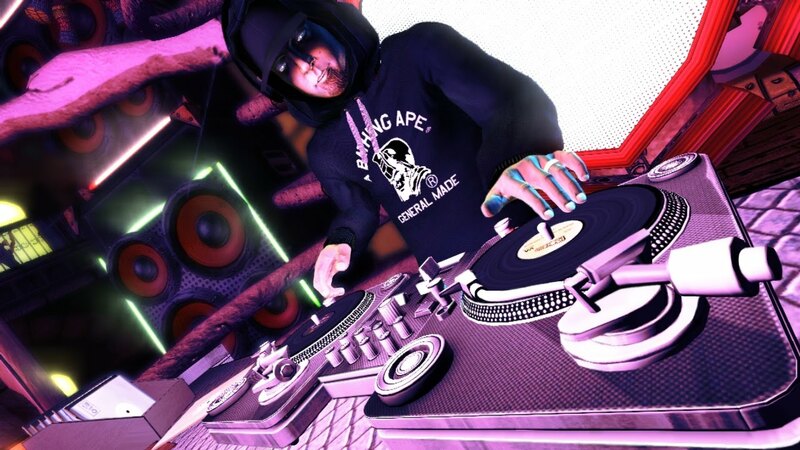 Multiplayer modes come to you in the form of DJ vs. DJ, DJ + DJ, and DJ + Guitar. Praise: After playing Guitar Hero 5, I felt a little let down as it was the same game I have played over and over again but with new songs, luckily DJ Hero comes through and introduces a new “instrument” to master. The turntable feels sturdy for a plastic peripheral and the ability to reconfigure the platter for us left handed folk shows that Activision has put some time and effort into doing this right. The massive track list filled with both current and classic hits kept the playthrough fresh without replaying the same few songs over and over again. The tutorial was helpful to teach the basics and working my way up the difficulty levels, with a learning curve of about an hour. On the hard difficulty is where I felt I truly enjoyed playing as you use all the available techniques, while medium is a comfortable pace that allows the player to still scratch and get introduced to the available crossfader. Lastly, progression is determined by stars earned, so the song does not end or tell you that you failed if you miss a certain amount of notes, it is more of a no fail feature provided to the player. 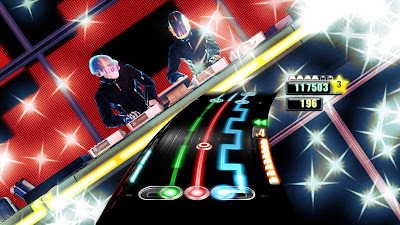 Gripes: My main complaint about DJ Hero is the crossfader, as when fading to the left or right is fun in between scratching, but it is way too easy to miss the center when combining the two mixes, causing you to lose your multiplier. Much like the early guitar peripheral, the buttons are loud and noticeable, but with innovation comes new issues. I have not had any time with the Renegade Edition, so I cannot say if it has the same minor quirks as the standard turntable kit. The other issue I had with this title was that I was unable to locate any online matches after maybe ten attempts over the course of the weekend. The ability to play multiplayer with the turntable and guitar is great as most people who purchase this will more than likely already have the guitar, unfortunately there are only five compatible songs to play using the two peripherals. 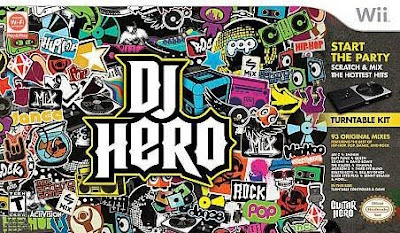 Overall, DJ Hero is fun to play, especially with a loud stereo, a group of friends, and another turntable or guitar for offline multiplayer. Even with the few little issues, the massive track list and the new gameplay gives the game a fresh feel in what was starting to feel like a saturated music game market. This title is available on all 3 of the next gen consoles, toting the same features, track list, and price tag, so there is no exclusive content to any specific console. Mashbuttons.com gives DJ Hero a 7 out of 10. DJ Hero is available now for the Nintendo Wii, Playstation 3, and Xbox 360.